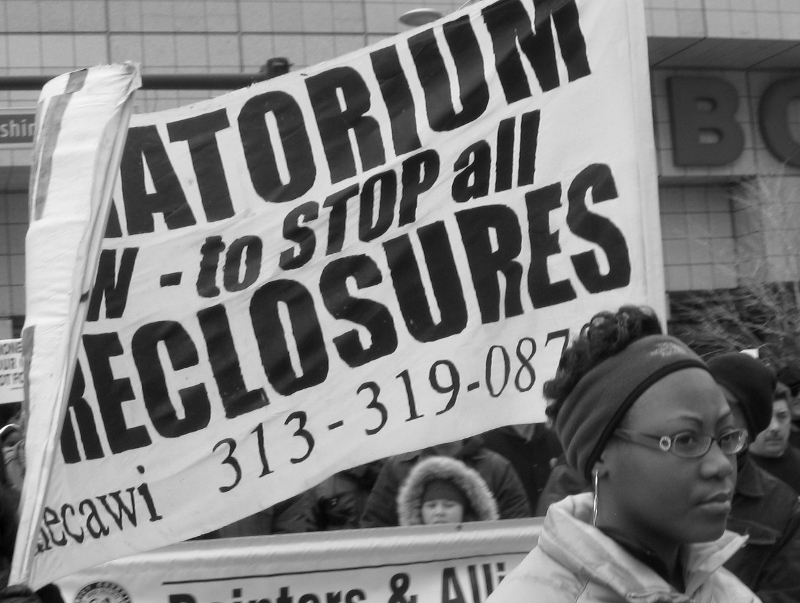 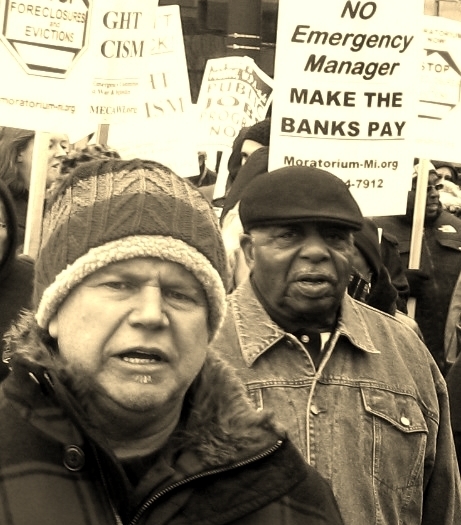 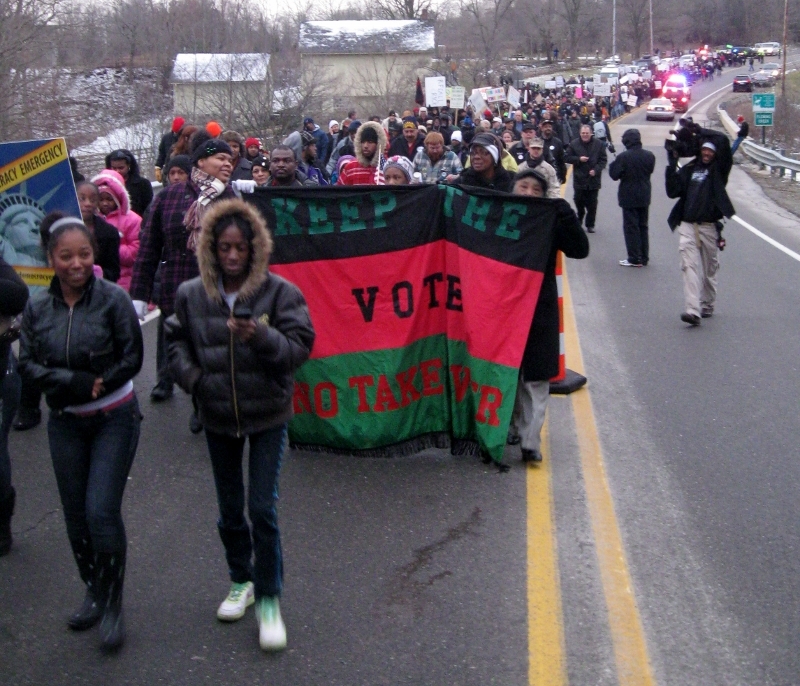 Monday, Martin Luther King Day, saw the ninth annual MLK Day Rally and March in Detroit. 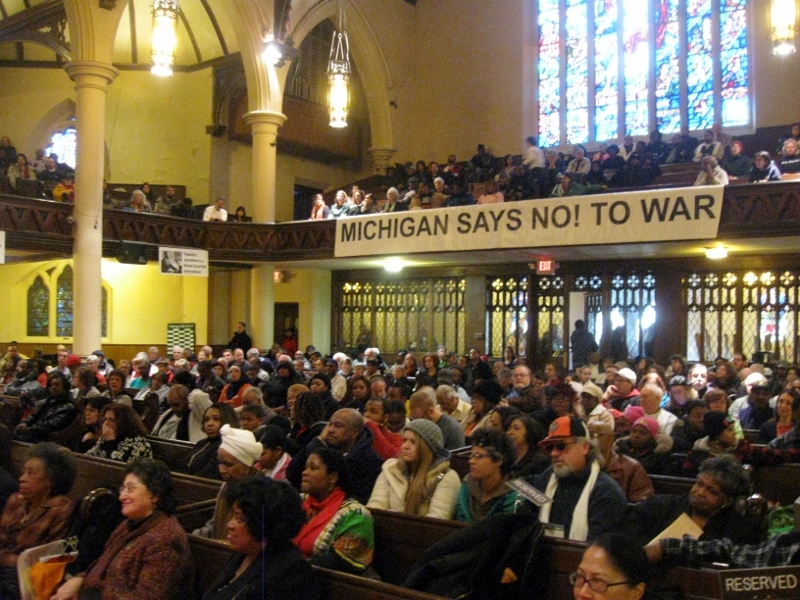 Hundreds packed into the historic Central United Methodist Church to celebrate King and reaffirm the movements commitment to social justice. 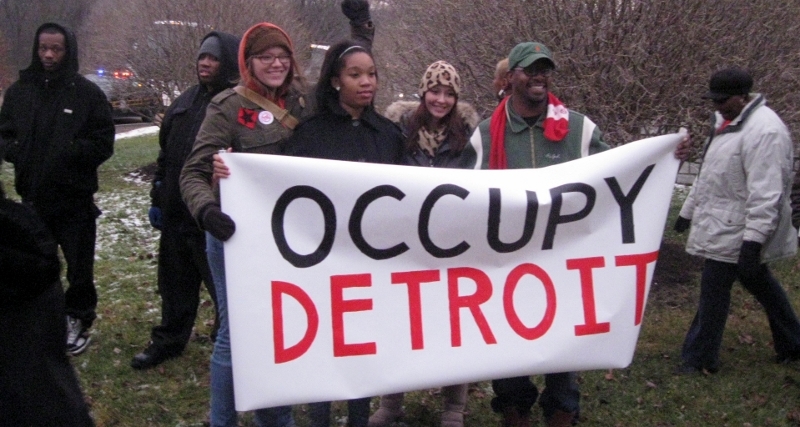 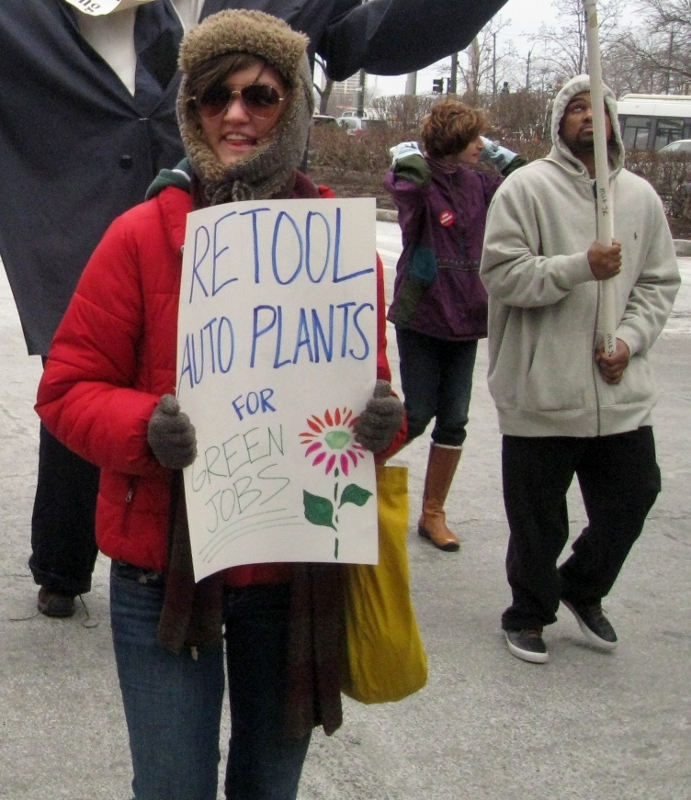 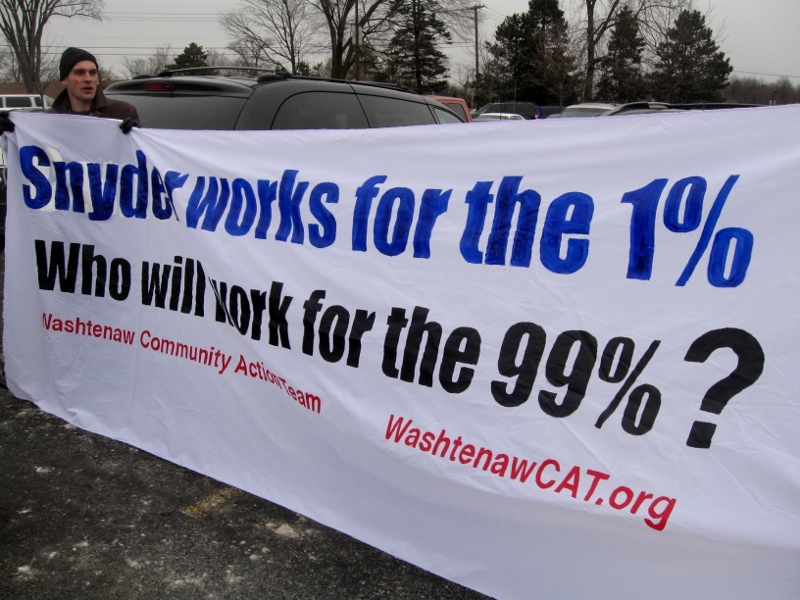 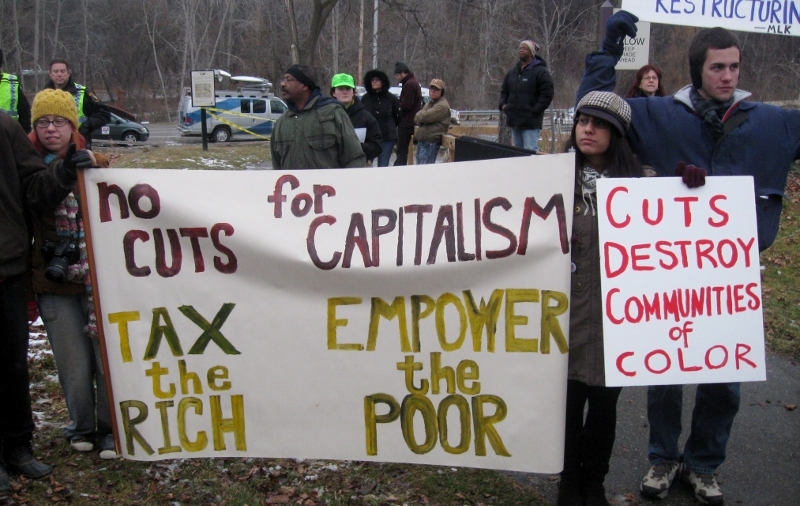 The theme for this year’s rally was “the Struggle for Jobs, Peace and Economic Justice”; a special recognition, along with a standing ovation, was bestowed on Occupy Detroit for their contribution. 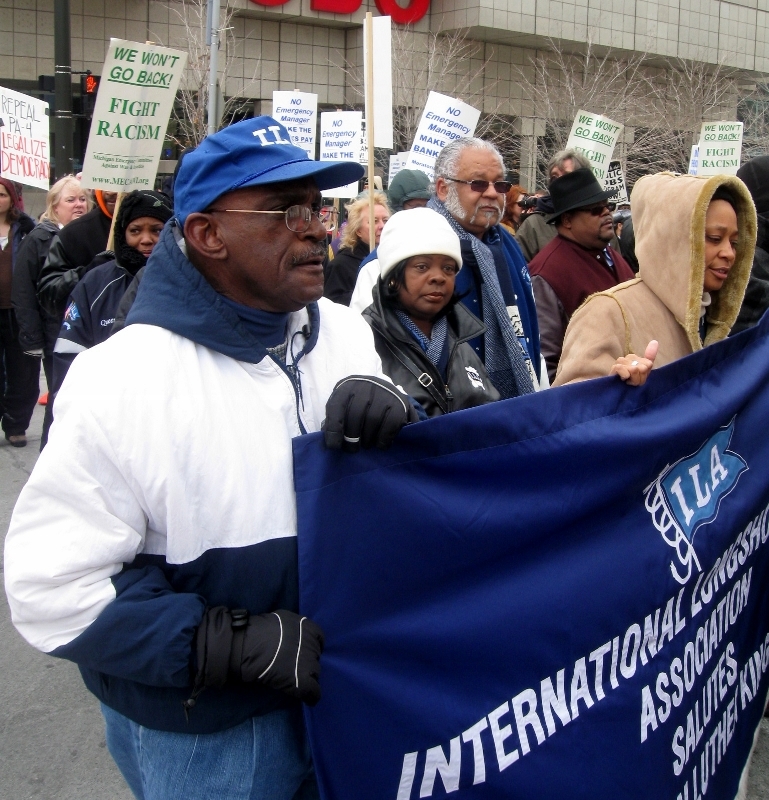 In addition, SNCC’s female freedom fighters were honored. 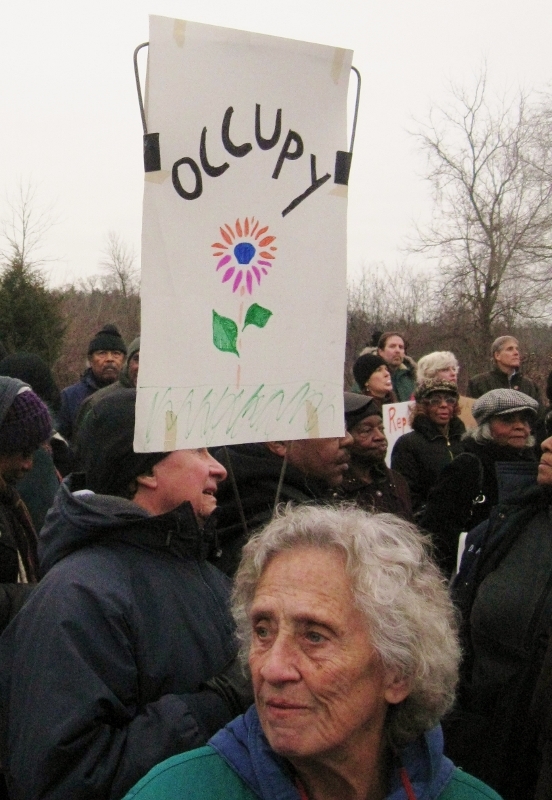 A panel by the four co-editors of the collection “Hands on the Freedom Plow,” a book that looks at the important role female Civil RIghts activists played within the Student Nonviolent Coordinating Committee (SNCC) included Gloria House, Martha Prescod Norman Noonan, Marilyn Lowen and Gwen M. Patton. 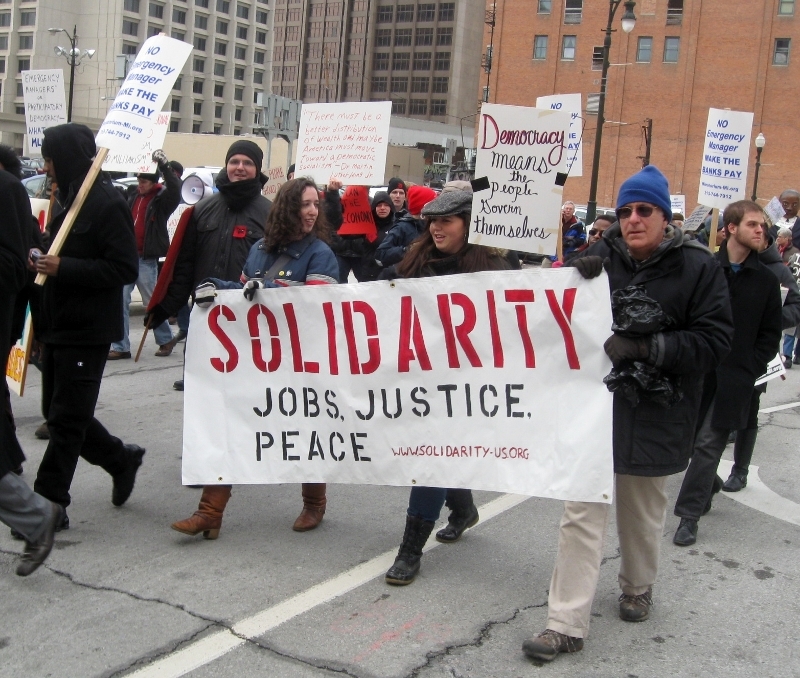 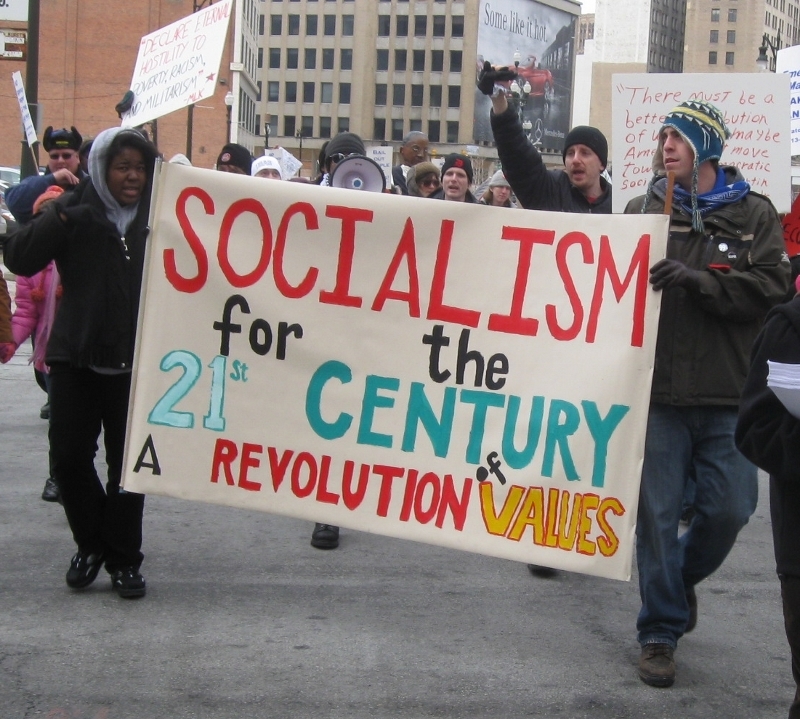 After a send off by the Mosaic Youth Theater a march, which included an energetic socialist contingent, weaved its way through the streets of Detroit on a overcast but, for January in Michigan, warm day. 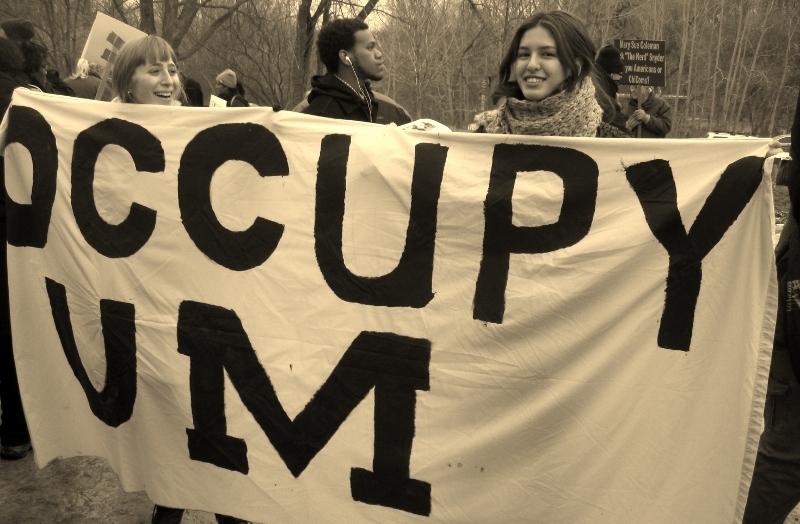 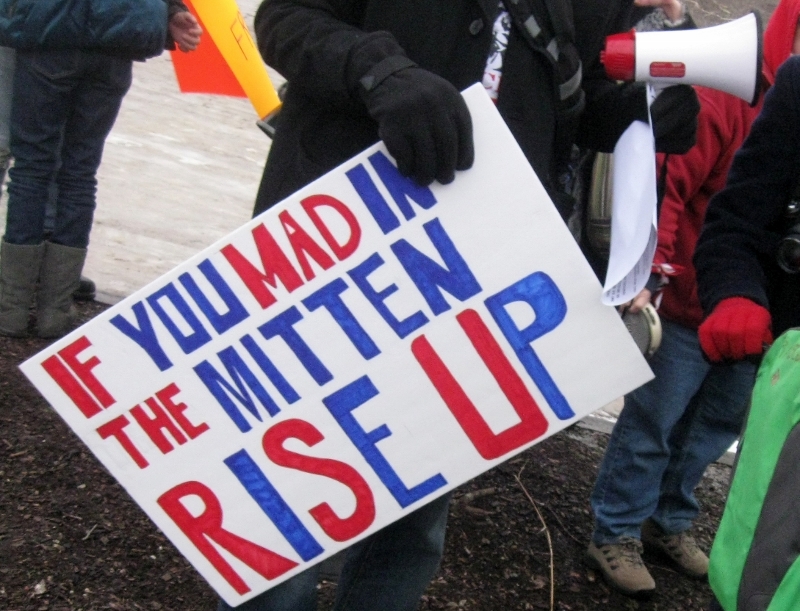 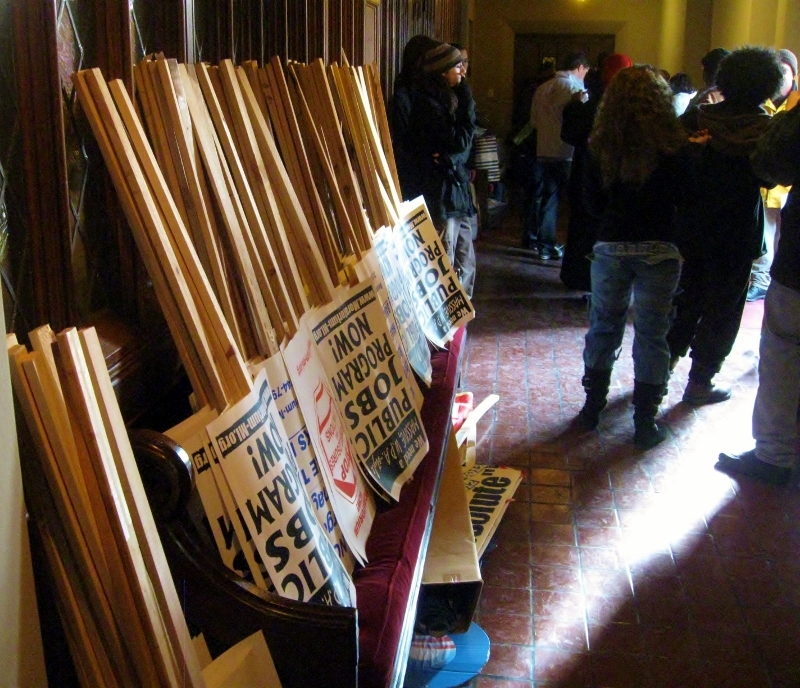 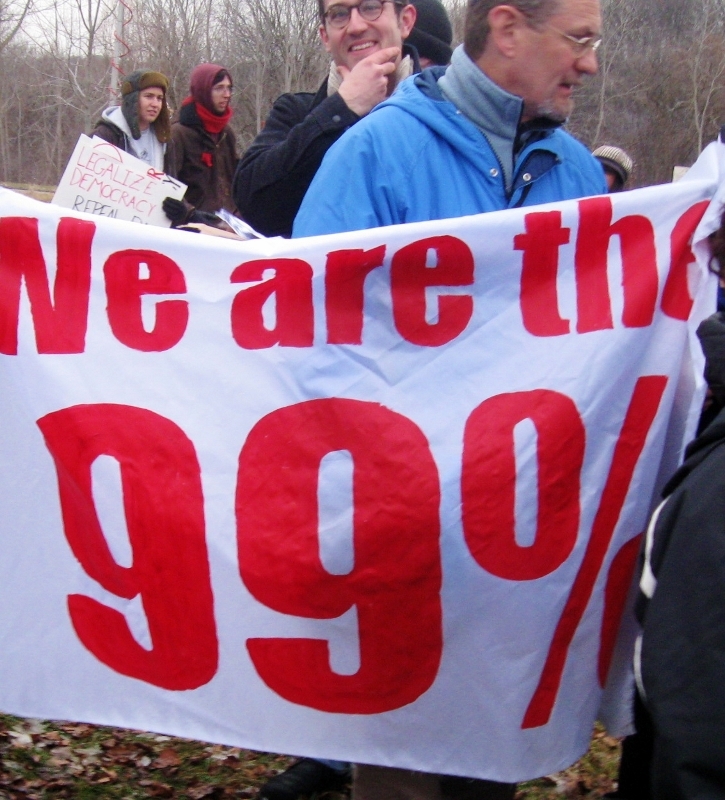 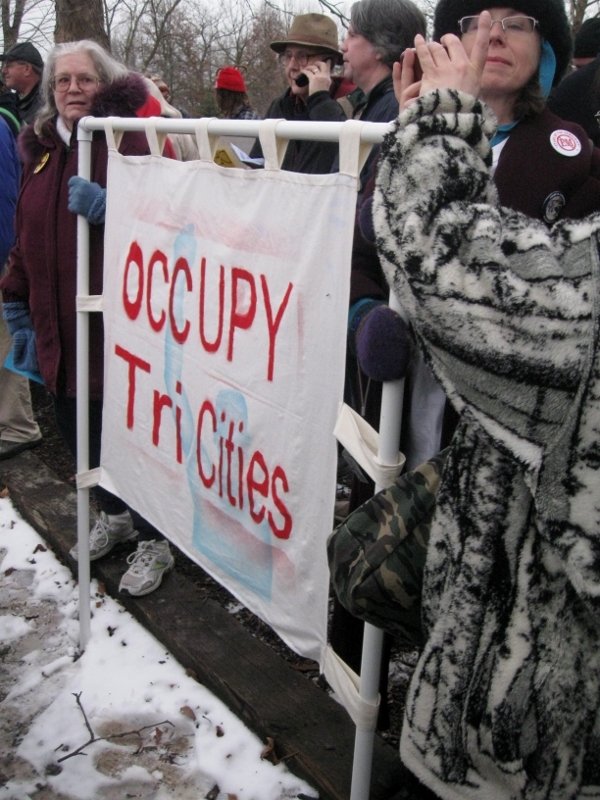 Throughout the day, in speeches, posters and placards, buttons and stickers, talks and conversations, the Occupy movement was positively referenced. 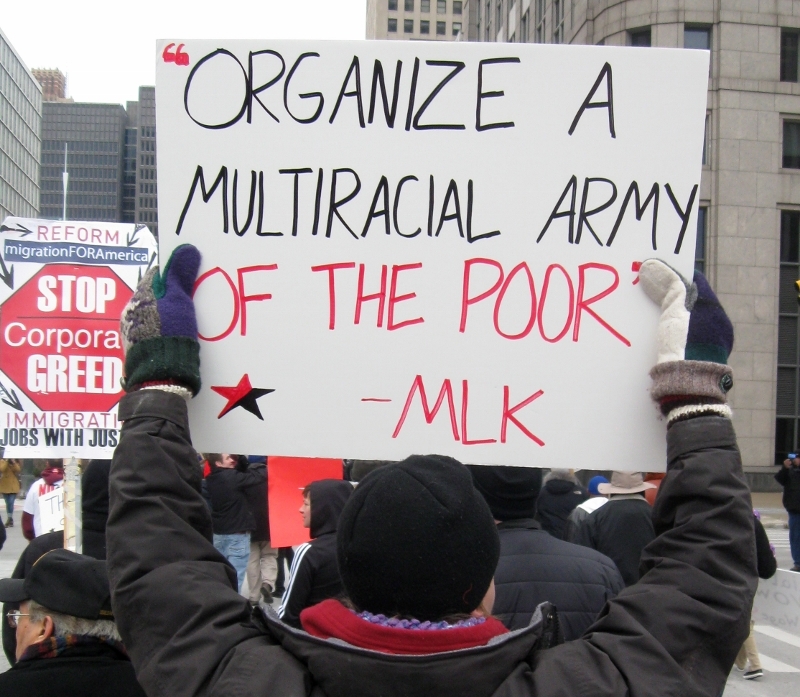 Many folks attending, black and white, viewed Occupy as the legacy and continuation of King and the struggle for civil rights and social justice.